Comprehensive business plans for start- ups, expansions, mergers, acquisitions, and other business scenarios is a major part of our consulting practice. 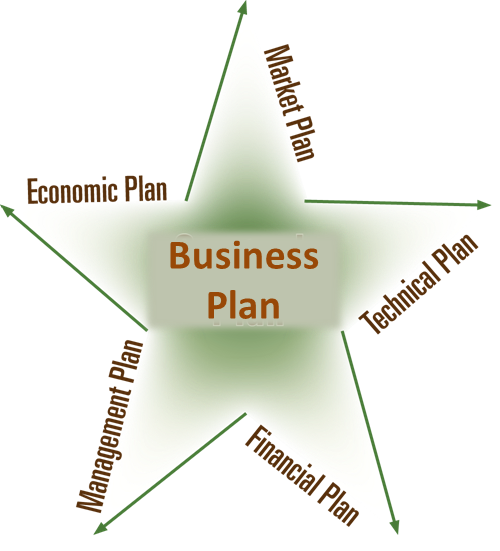 Our five-point business plans address the Economic, Market, Technical, Financial and Management plan of your business. When your business needs include a state-of-the-art business plan, our team will deliver an incomparable product that gets results - on time and within budget. Executive Summary: A tightly constructed page or so of succinct highlights. A. Economic Plan: Identifies the project site, infrastructure, utilities, and demographics. B. Market Plan: Identifies your market, customer needs, where they are, and how to reach them by addressing market potential, market share and developing a marketing plan. Describes what you’re selling with focus on customer benefits. For e-commerce, includes discussion of website, development costs, operations, sales and marketing strategies. C. Technical Plan: Addresses design & engineering, construction constraints, environmental issues, and HAZMAT protocols. D. Financial Plan: The 4 C’s of Credit: Capital; Cash Flow; Collateral; and, Character of Borrower(s) are determined by the following forecast models: Sales Forecast, Operating Forecast, Cash Flow Forecast, Footnotes & Assumptions, and supporting schedules. E. Management Plan: Describes the organization and the key management team members. Sets forth specific management responsibilities. Identifies legal establishment, history, ownership structure and organizational design. Contact us today to see how we can craft an effective business plan for your company.